Silicon Valley Meets Hollywood, New Year Social Calendar! 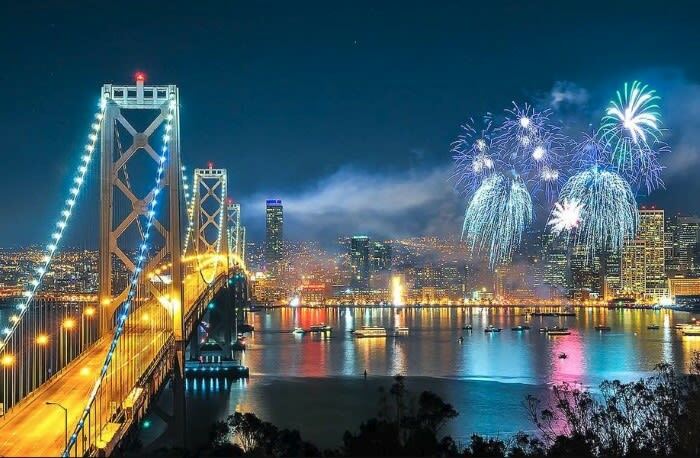 From Christmas decorations to fireworks, San Francisco certainly celebrated the holidays in style! 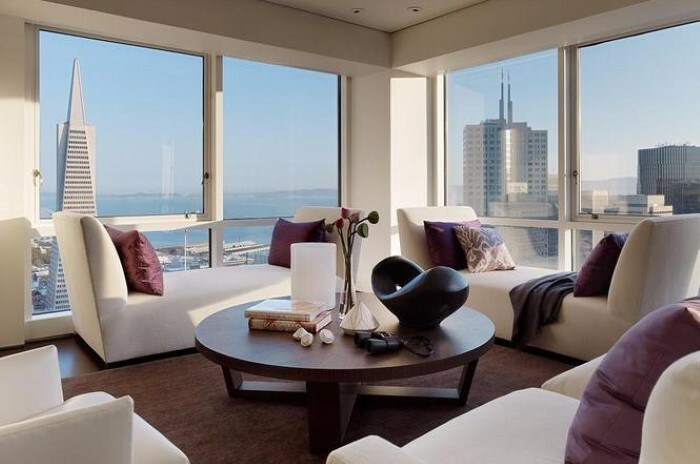 This month, I am pleased to be listing a fabulous San Francisco penthouse at the Infinity in the super-popular South Beach neighborhood. 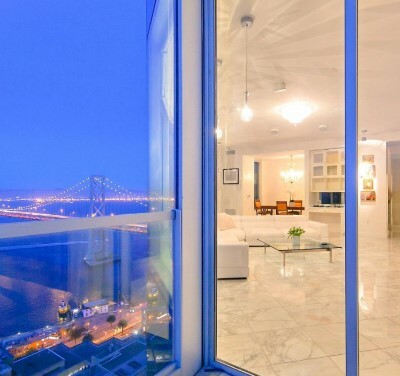 The ~107 linear feet of window walls showcase some of the City’s most dramatic views, including the Bay Bridge, the ever-changing skyline, the historic Ferry Building and a wide expanse of the Bay.Beach neighborhood. And, on the other end of the real estate spectrum, I am delighted to be representing this classic, circa 1885, Eastlake-style home with extraordinarily well-preserved original detailing. 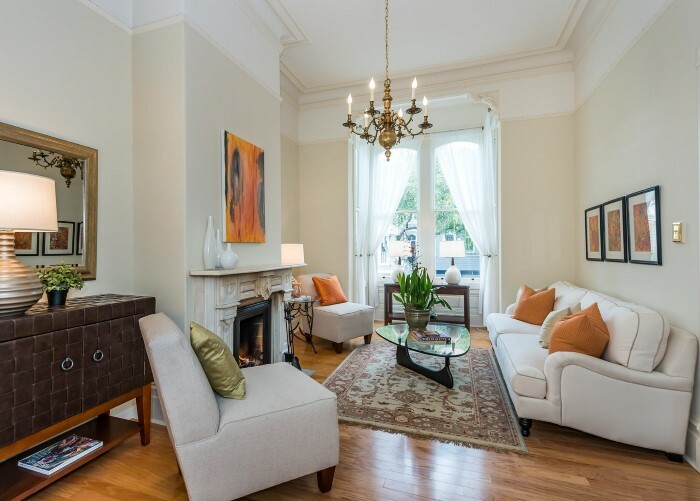 This is an exceptional example of why the City's famous Victorian homes remain in high demand over 100 years after being built -- truly one of the City's architectural gems. 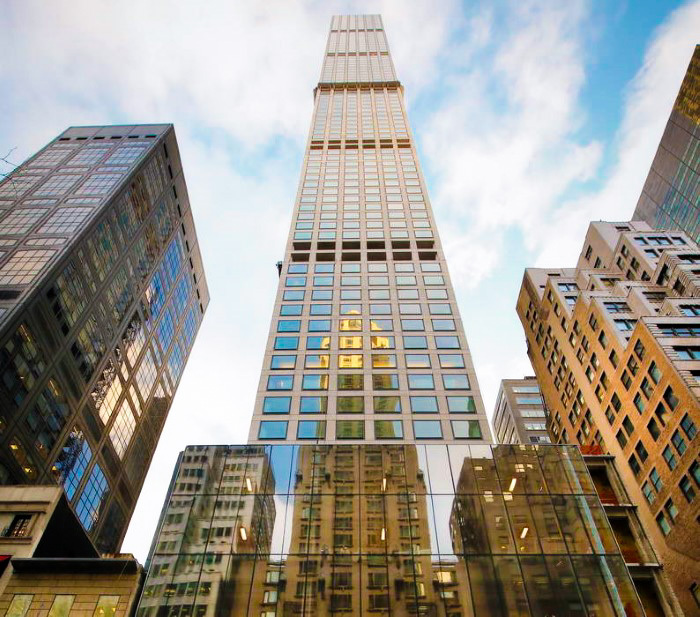 It's the tallest residential building in the world. 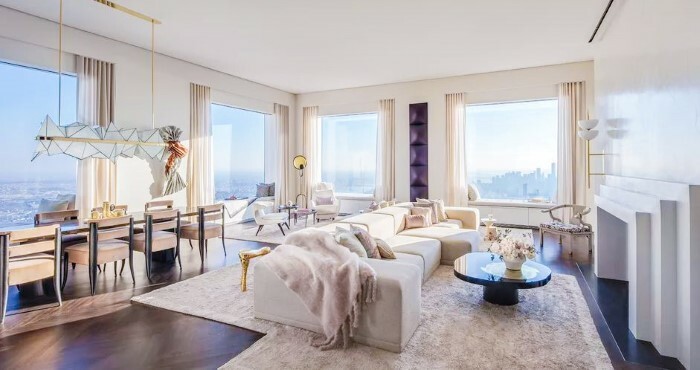 The international ultra-luxury market ended 2017 with a bang, especially in New York, with the most expensive sale of the year closing a few weeks ago -- a trio of penthouses at 432 Park Avenue to an undisclosed Chinese buyer for $91,125,498. 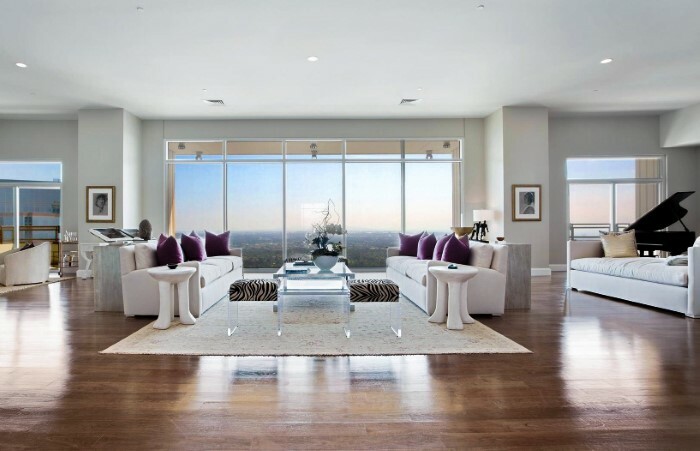 That transaction was quickly followed by the sale of two more penthouses to one buyer for $60.1 million, contributing to a total of over $583.42 million in sales at this one building throughout the year. 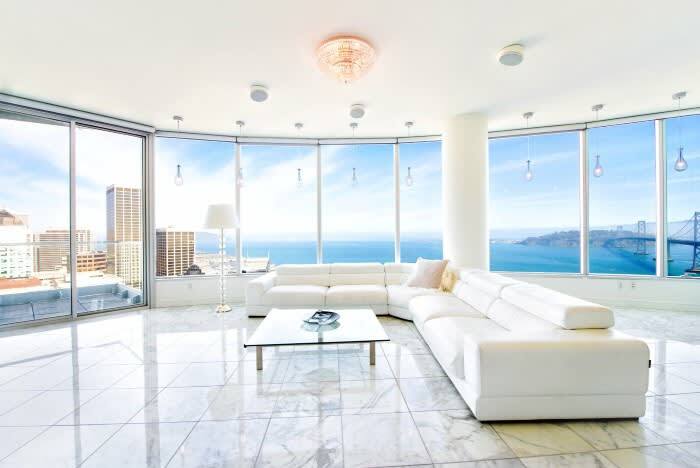 In the Bay Area, there were nine sales over $20 million in 2017, with the highest being $38 million for a new, modernistic home with magical Bay views on Pacific Heights' Gold Coast, the most expensive home in San Francisco's history. 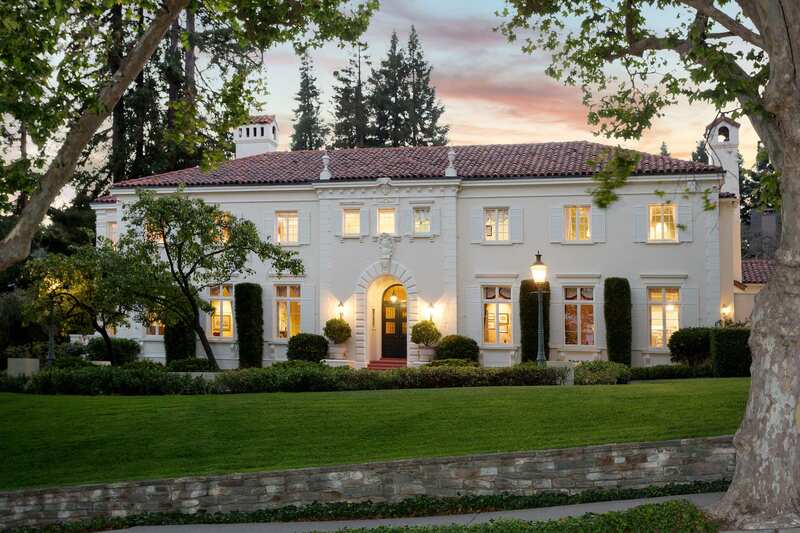 Just south of the City the highest sales of the year were $30 million, paid for two properties -- a home on Faxon Road in Atherton, and a home in Palo Alto's 'Professorville'. Eight acres of land in Los Altos Hills sold for $25 million. 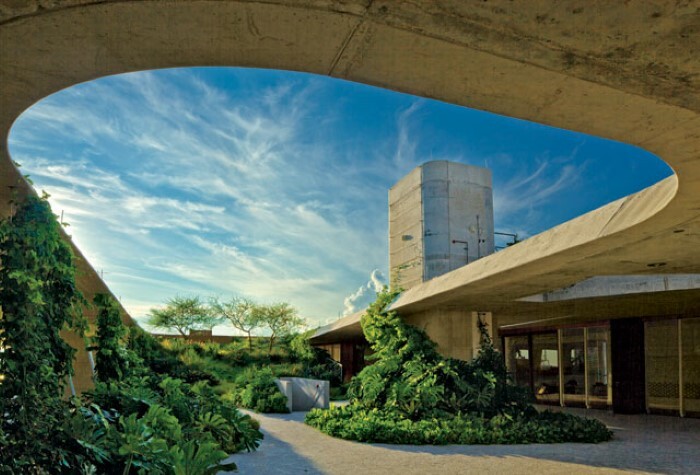 In Southern California, at least 53 homes sold at or above $20 million, with buyers including Beyonce and Jay-Z, Angelina Jolie, Matthew Perry, Kimora Lee Simmons, George Lucas, and Larry Ellison. Other buyers included businessmen Nicolas Berggruen, Sir Tom Hunter, Mark Walter, Stanley Druckenmiller, and Alan Salzman, heirs and heiresses such as Karen Lo, Kevin Washington, Evan Metropoulos, Cody Leibel, and Jennifer Greenberg Messer, various investors and developers, and the founders of Matches, Chrome Hearts, Maxfowles, the Bratz dolls, and Alo Yoga. 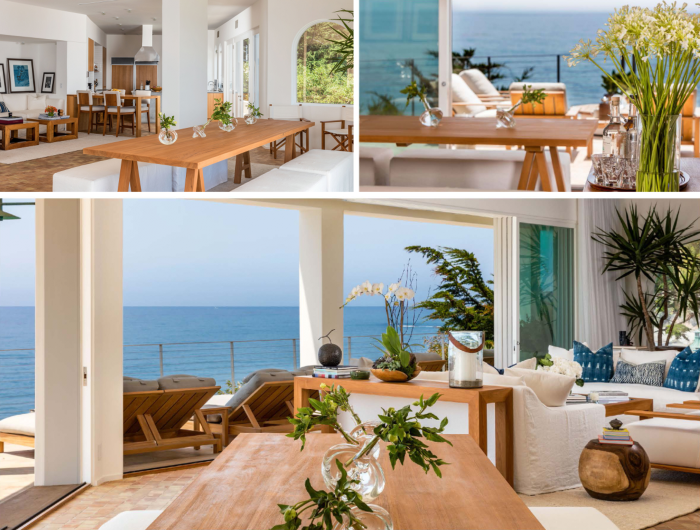 Of all luxury markets in the US, the most excitement was in Malibu, with 13 sales between $20 million and $85 million (for David Geffen's compound) breaking multiple records. As they say, some things never go out of style! Take a fabulous 360 degree tour of the magnificent property here. We've just found out who the buyer was -- it turns out he's also the buyer of the world's most expensive painting, which just sold a few months ago -- Saudi Prince Bader bin Abdullah bin Mohammed bin Farhan al-Saud. 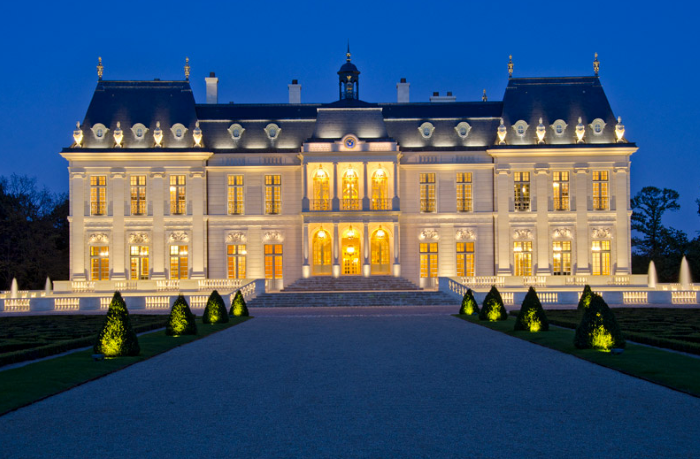 As we go into the New Year, the perennial question is: how will the luxury real estate market perform in 2018? First, let's look at overall economic conditions. The Federal Reserve is forecasting 2.5% GDP growth and the Wall Street Journal Survey of Top Economists forecasts 2.6% -- similar to 2017. National unemployment is predicted to drop to the 3.9% to 4.1% range, from the current 4.4%. Global GDP is predicted to rise to 3.7% from the current 3.6% by the International Monetary Fund. 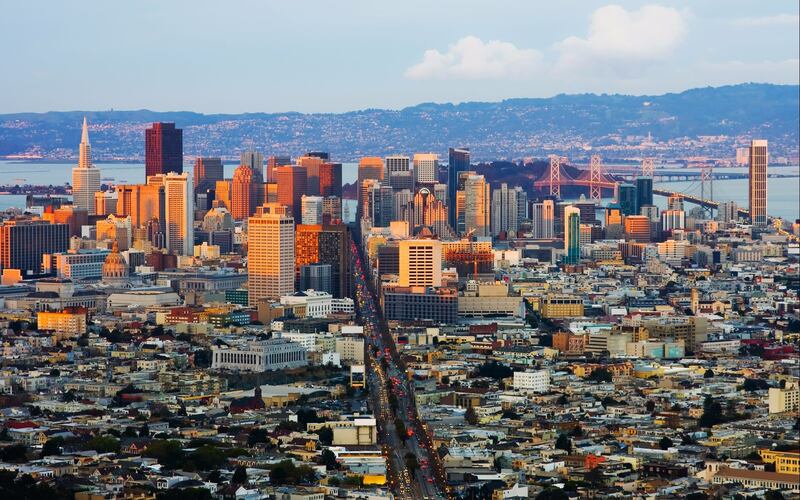 The Bay Area economy continues to break records. Its GDP is nearly $800 billion, making it the world's 18th-largest economy. Salaries in San Francisco are the highest in the country (making it the third most expensive city in the world to employ a workforce, while New York has the overall highest cost of living in the US) -- and in November it reached an unemployment rate of 2.3%, its lowest in at least five decades! It stands with Austin as the second largest US city with unemployment under 3%. Incredible! Next is the issue of taxes. There's been much debate about the impact of the new 2018 tax law on the market. Some forecasts, such as that of the Wall Street Journal’s Mansion Global, predict a dampening effect of up to 10% on prices in the most impacted areas, while also noting it will take some time to see how the various cross-currents play out. 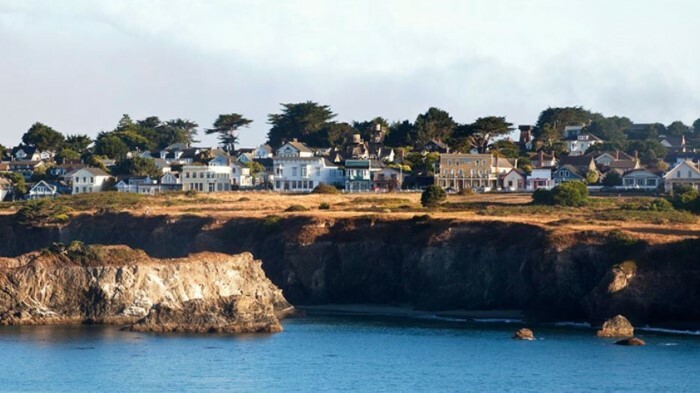 The National Association of Realtors' latest forecast indicates a possible 5% price decline in high-cost states such as California and New York. Will the negatives of the new law (loss of a lot of the property tax, state income tax and part of the mortgage deductions) outweigh the positives (possible repatriations of hundreds of billions of overseas corporate tax dollars, perhaps higher income for corporate employees and more liquidity in the high end)? 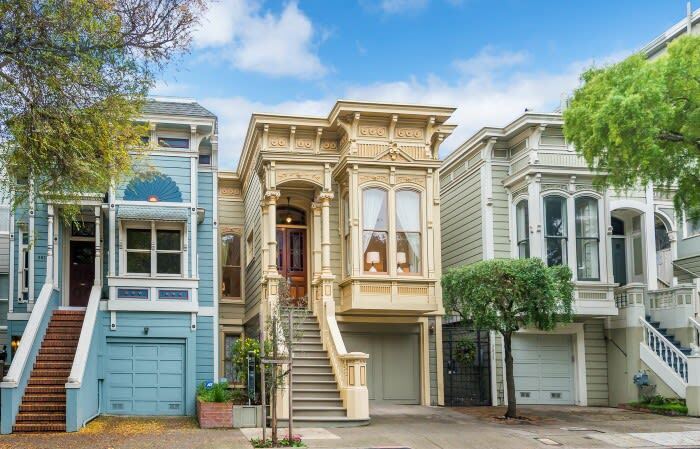 With sales totalling nearly $8 billion, San Francisco's real estate market hit new highs in 2017, ending the year with a median sale price of $1,475,000 for single family homes citywide -- an increase of 13.5% compared to December 2016. 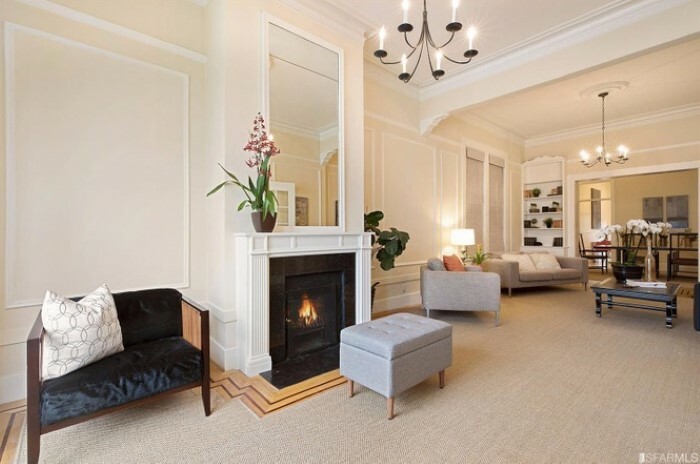 In Pacific Heights and Presidio Heights, the median price for the last quarter of 2017 was $5.4 million, or $1,600 per square foot. Taking everything into consideration, there are no indications that these trends should reverse in 2018. 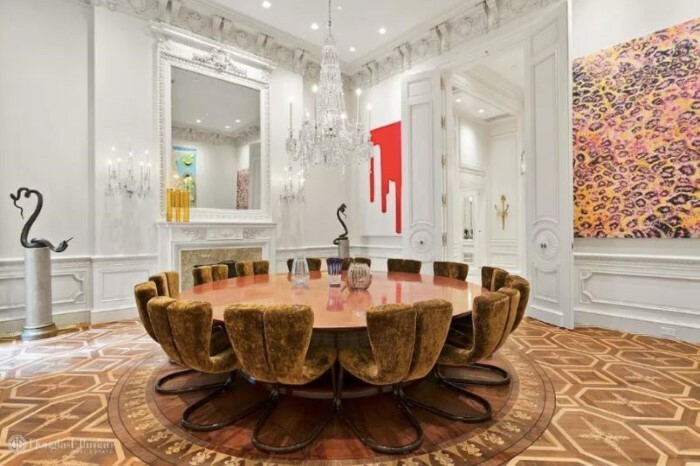 New York luxury real estate just reached a new all-time high with the sale of billionaire Vincent Viola's home at 12 East 69th Street, in contract for $80 million. 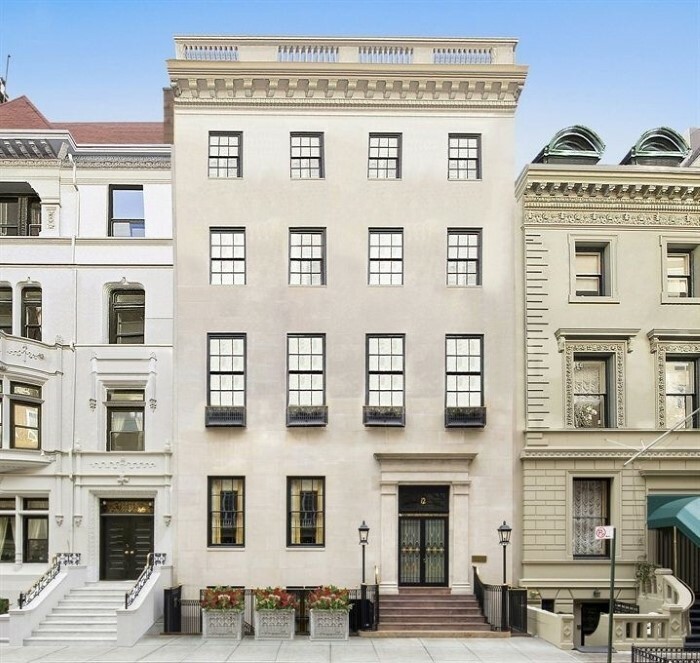 At that price, the 20,000 square foot residence, built in 1884, will be the City's most expensive townhouse to date! 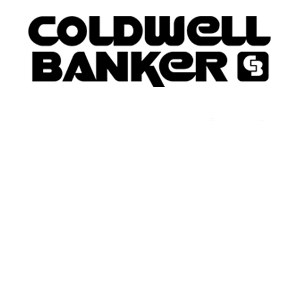 Can we expect to see more major townhouse sales in 2018? If so, there are some wonderful options currently available. 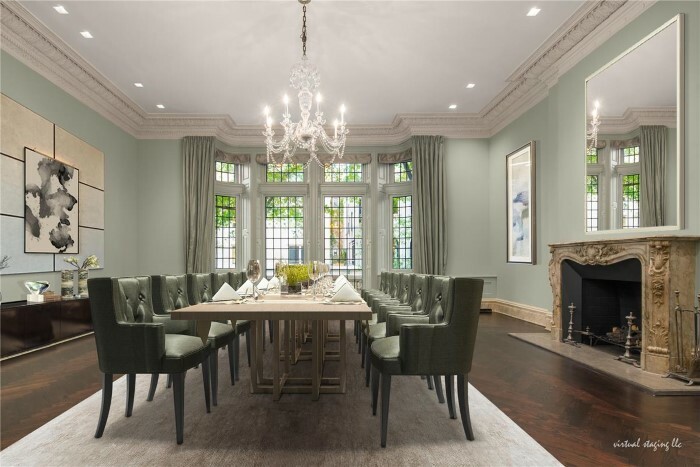 Only a few feet away, a neo-Federal style mansion at 6 East 69th Street just went on the market last week for $37.5 million. 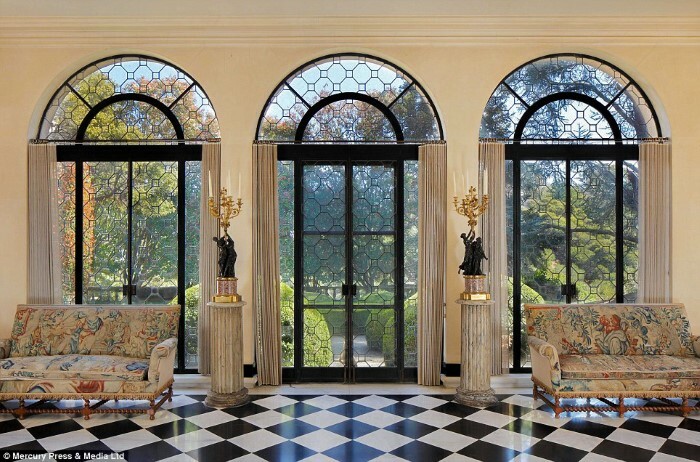 Built in 1925, the six-story, 12,000 square foot property features an 1,800 square foot sunroom outside its master suite. 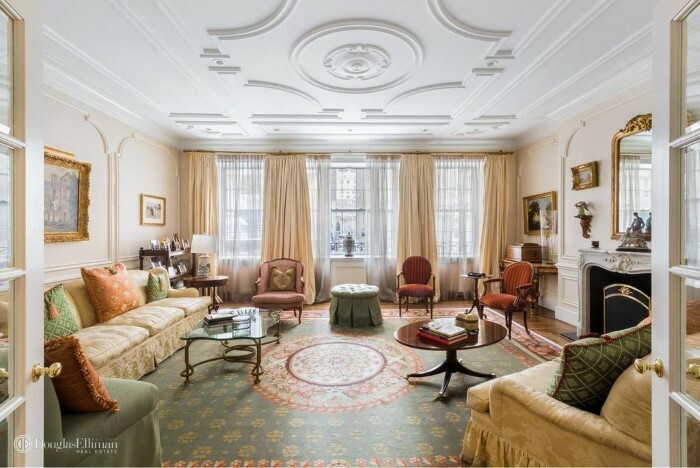 An exquisite Beaux-Arts mansion at East 62nd Street, clad with Hermes leather walls, is one of the more fashionable properties on the market. 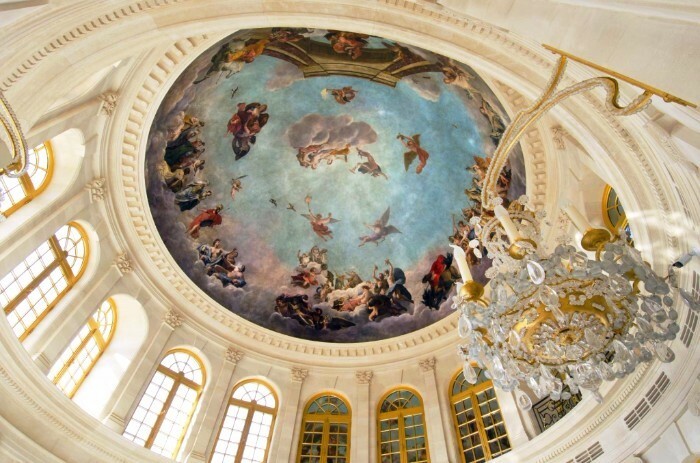 Asking $79.5 million, the five-story, 14,700 square foot mansion, with exquisite 1903 architecture, features a spa with plunge pool, a 2,500-square-foot rooftop terrace, temperature-controlled vault for furs, among other luxuries. 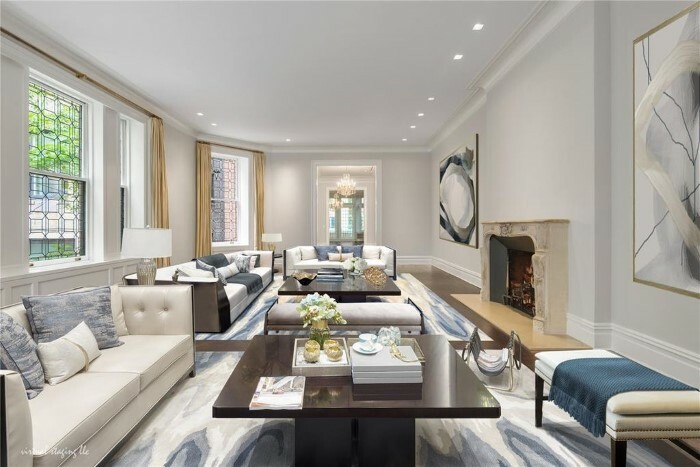 One block down, at 34 East 62nd Street, is an incredible opportunity for a newly constructed Upper East Side townhouse, asking $32.5 million. 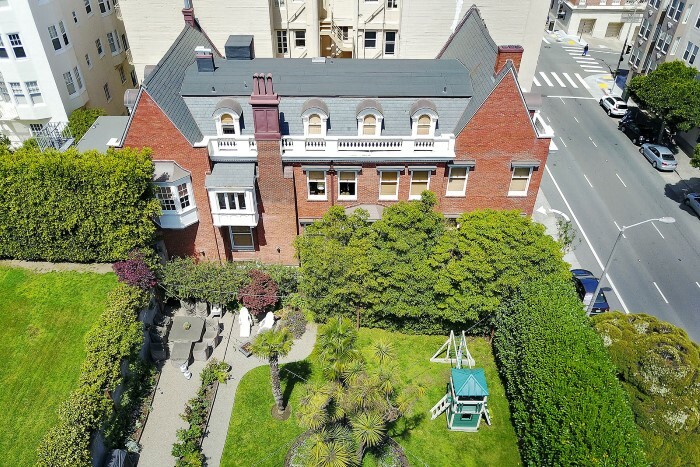 The five-story, 9,200 square foot mansion was designed by HS Jessup Architects in a sleek update of the Beaux-Arts style, with French limestone facade, and dramatic slate Mansard roof. 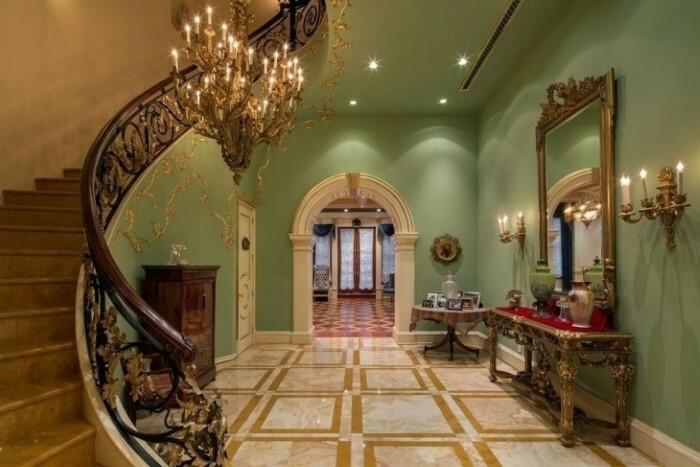 Completed in 1901, the six-story, 12,000+ square foot townhouse owned by hedge fund billionaire Marc Lasry has 16 rooms, a grand oak staircase, private outdoor patio, roof deck, state-of-the-art security system, and 10 fireplaces. 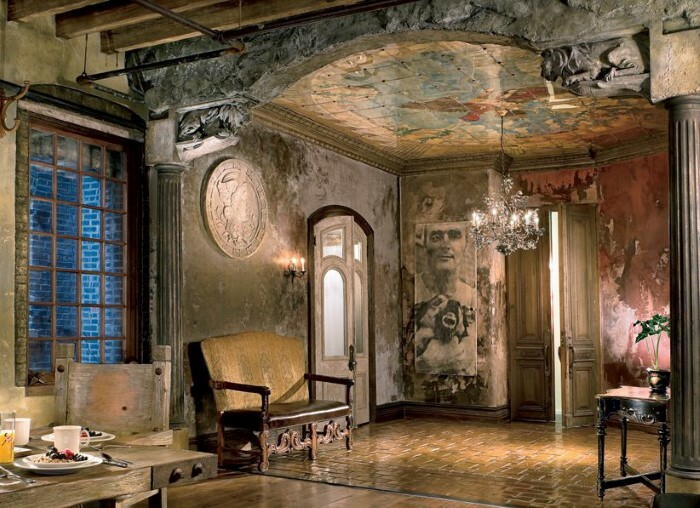 Past celebrity residents have included Michael Jackson and artist Marc Chagall. One of America’s most historic estates in one of America's most historic enclaves has just sold to former Tonight Show host Jay Leno and wife Mavis for $13.5 million -- a rare example of the whirlwind world of celebrity real estate extending beyond New York and Beverly Hills. 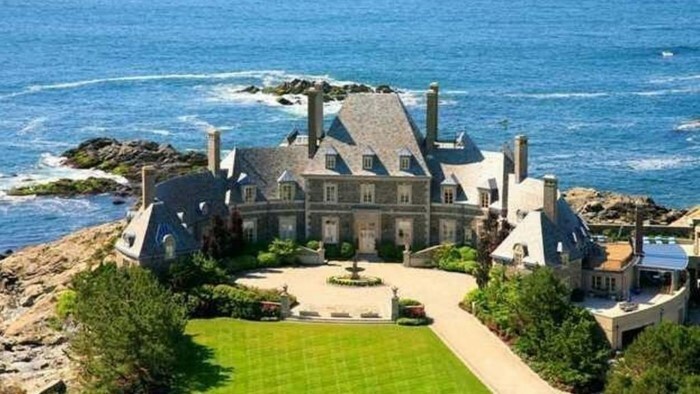 Built in 1936, Seafair Estate in Newport, Rhode Island is a crescent shaped stone-clad mansion that sits right on the ocean cliffs. The 8-bedroom, 11-bath mansion features a carriage house, pool, tennis court, and private beach. Meanwhile, across the country, the iconic Palm Springs house where Elvis and Priscilla Presley honeymooned immediately after their 1967 wedding in Las Vegas has hit the market for $5.9 million. 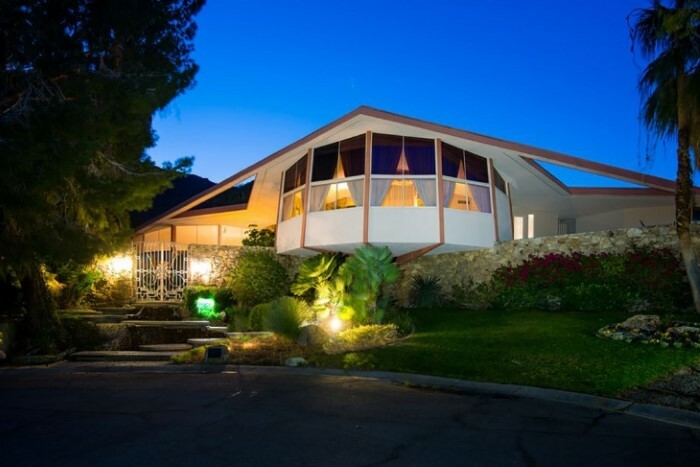 The 5,000-square-foot mid-century spread designed by renowned Mid-Century starchitect William Krisel first appeared in Look Magazine, where it was called the “House of Tomorrow". 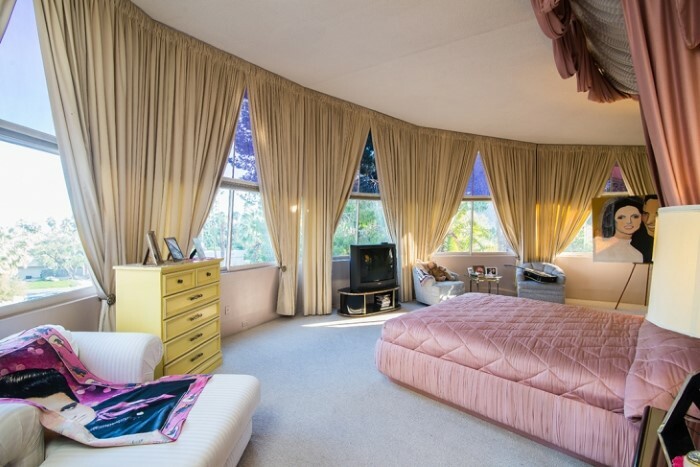 Circle shaped living areas and bedrooms give the pad a '60s feel, which is undoubtedly part of its charm -- so if you’re an Elvis fan, now’s the time! 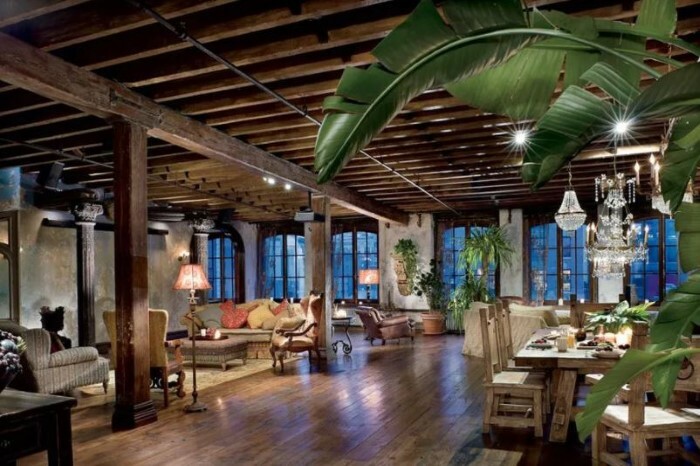 And continuing the old-meets-new trend, where we see a juxtaposition of classic elements with modern accents, the theatrical Chelsea loft of Phantom of the Opera star Gerard Butler, with its “modern vintage” flair, hit the market for $5,995,000. 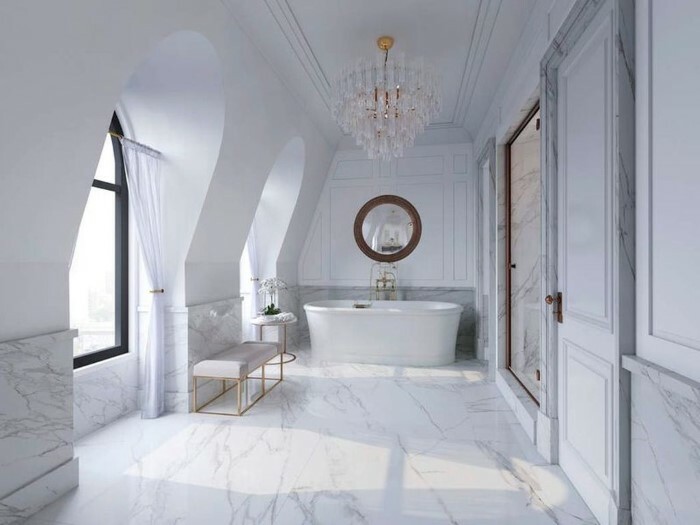 And we continue to see amenities for trophy penthouses pushing new boundaries -- such as the $34 million 7,700-square-foot Herzog & de Meuron-designed South Beach Florida penthouse with 18,000 square feet of magical outdoor space, and a separate guest house! 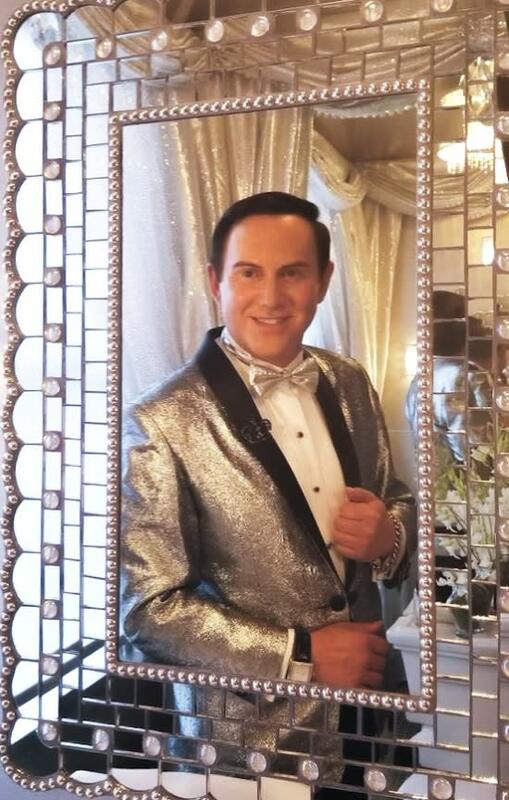 After being interviewed in 2007 for an article on the future of San Francisco real estate -- at the time it was titled “Seven Megatrends" -- I've been honored, over the years, to make numerous media appearances and do interviews and presentations on the topic. 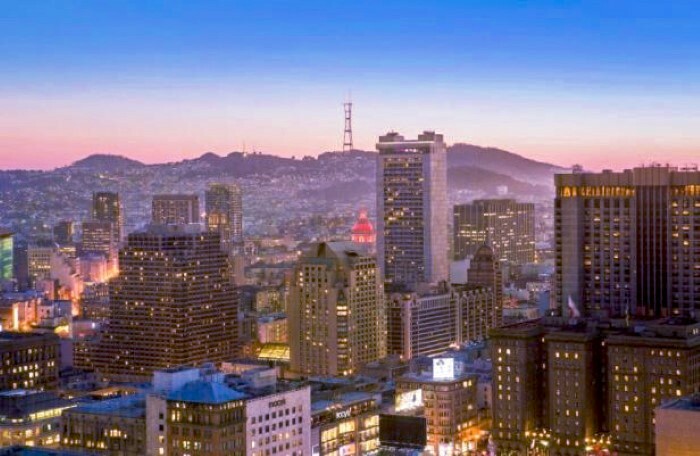 Here we are in 2018, and with several speaking engagements coming up for my "2018 Real Estate Crystal Ball," I'm updating the report to “Nine Megatrends: The Next Ten Years in San Francisco”. 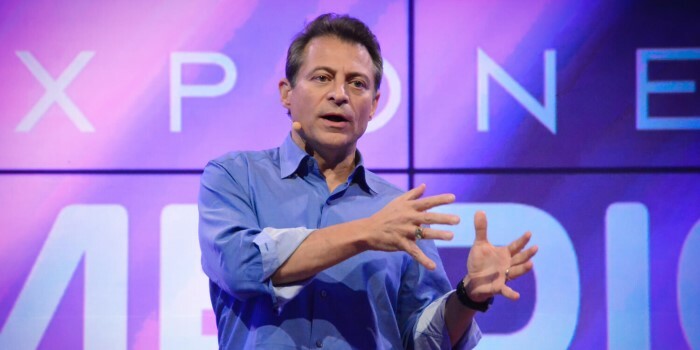 In a recent series of fascinating articles, leading tech forecaster Peter Diamandis (founder of the X-Prize, and chairman of Singularity University) writes about the unprecedented convergence of eight different technologies in this decade: artificial intelligence interacting with robotics, nano-tech, the Internet of Things, 3D printing, virtual and augmented reality, and new computational systems such as super and quantum computers. This is very different than anything we’ve seen in previous decades, where one primary technology drove innovation -- the computer chip in the '70s, personal computers in the '80s, the internet in the '90s, mobile and search in the 2000s. His prediction is this will create unpredictable, but also exponential growth and change. 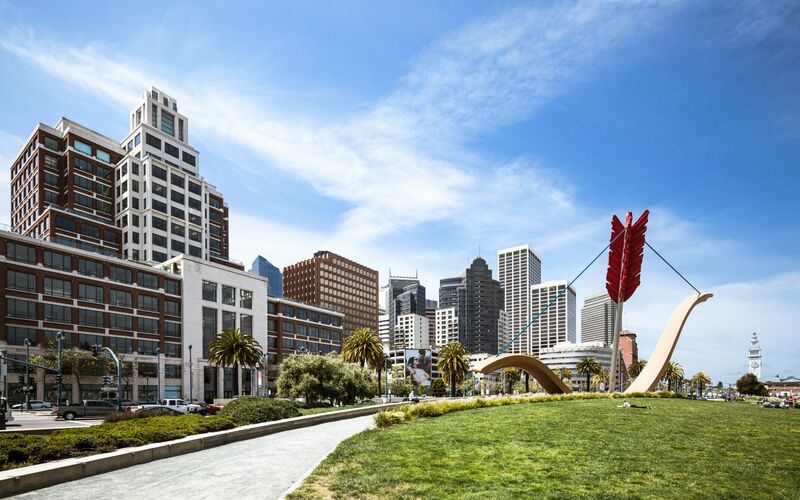 Because Bay Area companies and research institutions maintain a leading role in many, if not all, of these technologies, there will continue to be an increasing influx of intellectual talent and global capital flowing into the region. This increasing convergence of technologies is great for the Bay Area's economy and, by extension, its real estate market. Surprisingly, average Class A office rents, while high at about $80 per square foot, are much lower than other major cities, coming nowhere close to those in central Hong Kong -- four times higher at $323 per square foot! 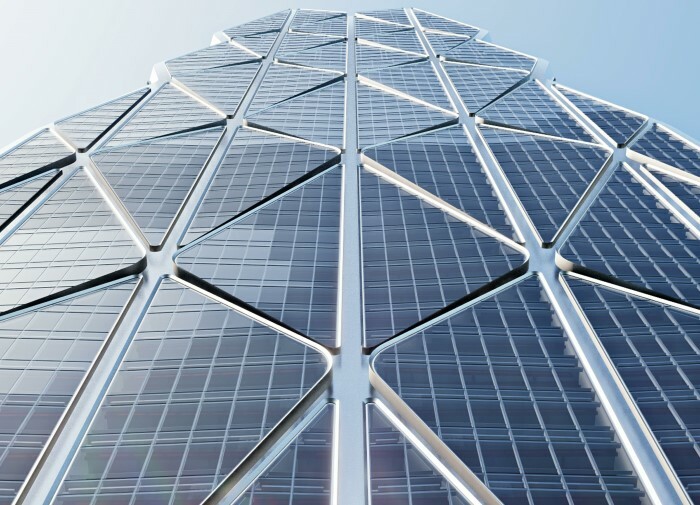 The newest large-scale project was announced a few weeks ago, with Microsoft planning to revamp its main 643,000-square-foot Mountain View complex, which should be ready to occupy in December 2019. 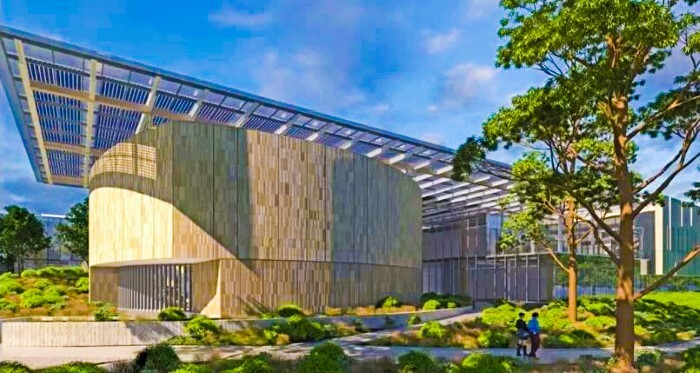 It will be their smartest, greenest office yet with one hundred percent of the buildings’ non-drinking water coming from rainfall or on-site recycled water -- a first in Silicon Valley. As we head into 2018, the Bay Area continues its extraordinary tradition of philanthropy. 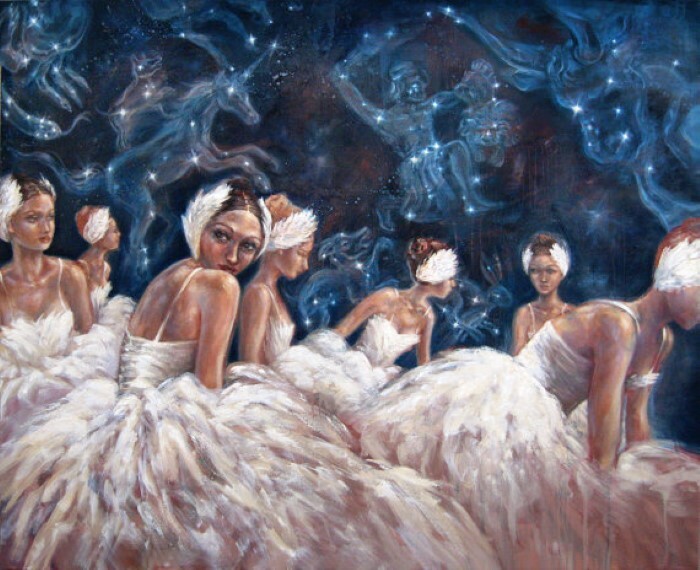 I'm delighted to be supporting the San Francisco Ballet at its "Celestial" themed Opening Night Gala this month. I'd also like to invite you to an event I'm co-hosting with Sandra Papale and Dona Crowder at The Infinity Penthouse, in celebration of Joanne Renna Douglas and Alfred Renna's new book, "Negotiating New York: Life, Love, and the Pursuit of Real Estate," which Shark Tank star Barbara Corcoran calls "a wonderful, life affirming story." 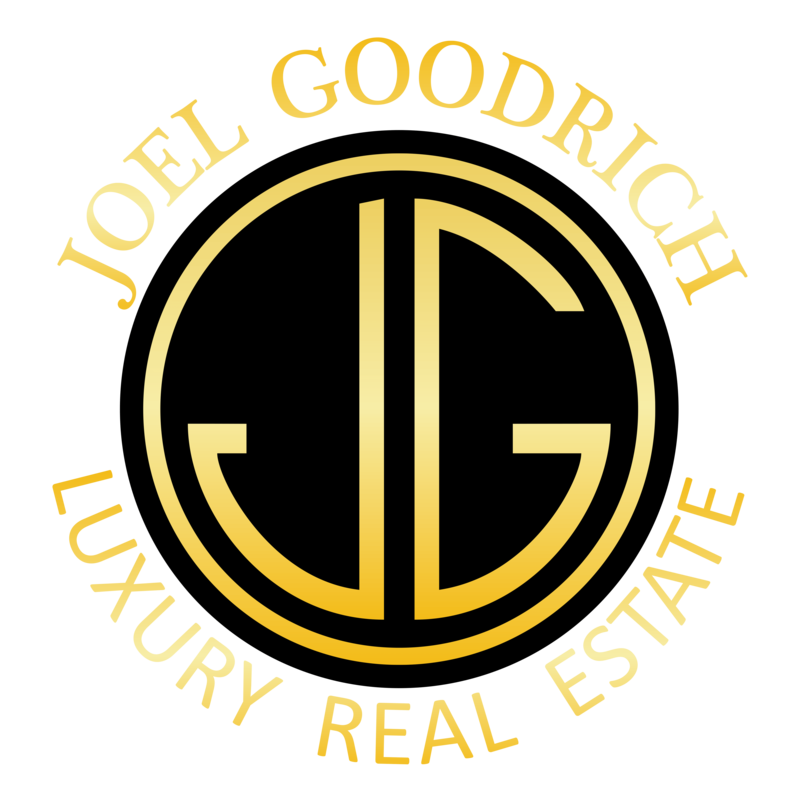 The book is must-read for anyone in the luxury real estate business (or who loves luxury real estate)! The event is on Wednesday, January 10th, 4:30 - 6PM -- please let me know if you'd like to attend. Below is my calendar of charitable, cultural, entertainment, sporting and business events that I hope you enjoy -- I look forward to seeing you soon around town! Meet the authors of "Negotiating New York: Life, Love, and the Pursuit of Real Estate," and enjoy a bi-coastal celebration of luxury real estate over sunset cocktails. 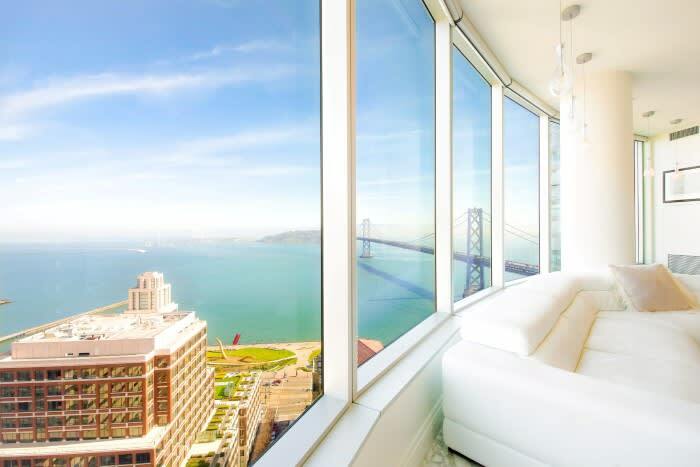 The Infinity Penthouse, 301 Main Street, SF, 4:30 PM to 6:30 PM. 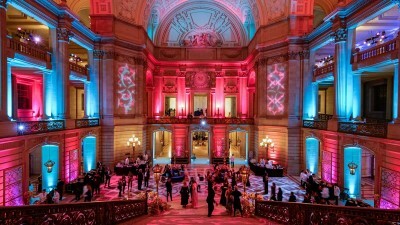 FOG opens with a Preview Gala benefit for SFMOMA. Fairs run from Thursday Jan 11 through Sunday Jan 14. Fort Mason Center for Arts and Culture, 2 Marina Blvd., SF. Authors Joanne R. Douglas and Alfred Renna discuss their eye-opening book, "Negotiating New York: Life, Love and the Pursuit of Real Estate." Books Inc., 601 Van Ness Avenue, SF. 7:00 PM. View the latest Naeem Khan collection. Neiman Marcus, Couture Salon, Third Floor, 150 Stockton St., SF, 10:00 AM. Runs through Jan 12. 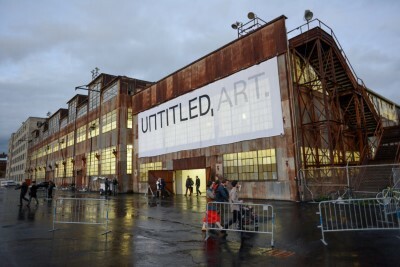 The art fair features galleries, artist-run exhibition spaces, and organizations as well as film and video screenings, workshops, and more. 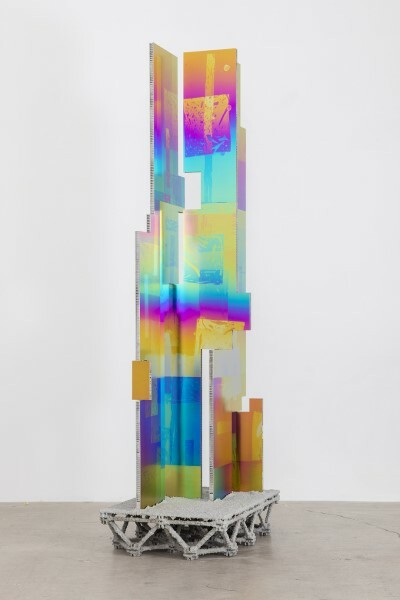 Palace of Fine Arts, 3601 Lyon St., SF, runs daily Jan 12 through 14 beginning at Noon. New exhibition from Ryan McGinley. Ratio 3, 2831A Mission St., SF, 11:00 AM. Runs through Feb 24. SF Ballet Opening Night Gala, "Celestial." SF War Memorial and Performing Arts Center, 301 Van Ness Ave., SF, 5:00 PM. 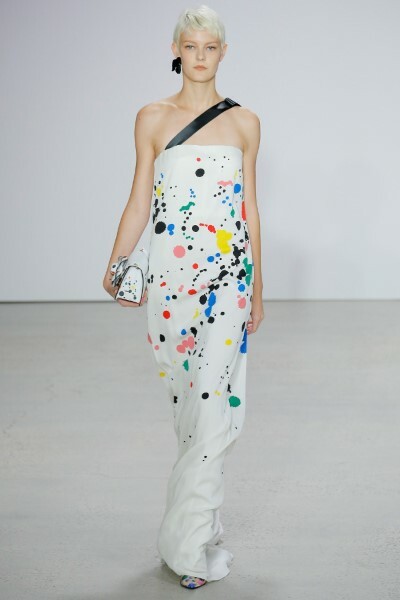 View the latest Oscar de la Renta collection. Neiman Marcus, Couture Salon, Third Floor, 150 Stockton St., SF, 10:00 AM. Runs through Jan 24. 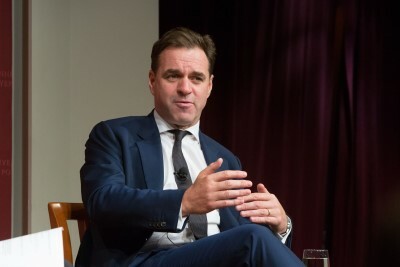 Niall Ferguson speaks to Google's Quentin Hardy about his new book, "Politics, Power and Networks." 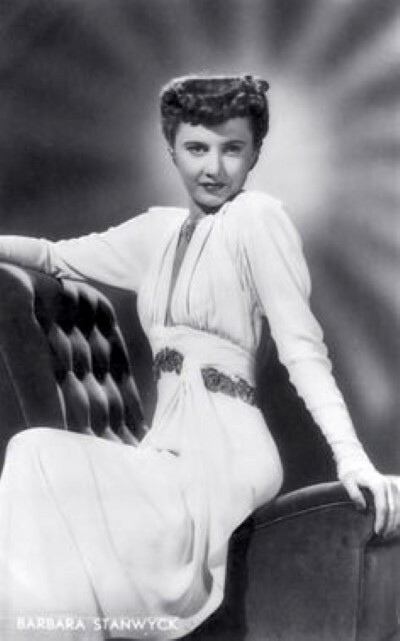 Film Noir Foundation presents a program of 12 genuine “A” and “B” double bills, spanning the breadth of the original film noir era. The Castro Theatre, 429 Castro St., SF, runs through Feb 4.